Asthma can be caused by a combination of environmental issues and genetic factors. Asthma is also a chronic lung condition that restricts the airways from the mouth and nose to the lungs. 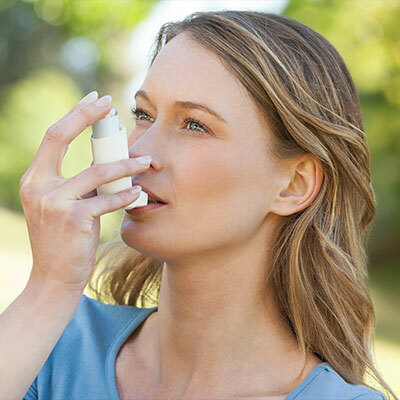 People with asthma may experience difficulty breathing, severe wheezing, chronic coughing, and chest tightness. Unfortunately, people with severe asthma can be in danger because of the lack of oxygen that flows to their lungs. Fortunately, asthma is a very common symptom treated by chiropractic since those airways are controlled by nerves. These asthmatic reactions to the body can be caused by the immune system or respiratory system being overly sensitive. When nerves are able to communicate freely with the rest of the body, airways can open up easily, causing more air to move from the head to the lungs, giving a person the ability to breathe easier. For your system to work correctly, it relies on normal communication from the brain and spinal cord. Research has been published that draws attention to the effectiveness of chiropractic care for people suffering from asthma. It has been found that spinal manipulation in the cervical and other adjustments to the thoracic spine have produced significant improvements in patients with severe asthmatic symptoms. If your neck is misaligned, it can create an improper balance in your nervous system functionality. Fortunately, the chiropractors at Zemella Chiropractic in Santa Barbara can adjust your upper cervical after a thorough examination to see if chiropractic care can decrease your asthmatic symptoms. To learn more about how chiropractic care can help you improve your asthma symptoms so you can breathe a little easier, call Zemella Chiropractic in Santa Barbara at (805) 324-6500 to schedule an appointment today.